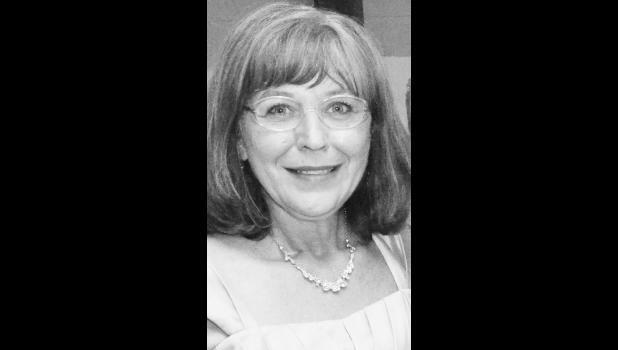 Carolyn Sue Tyler, 64, of Hoyt, formerly of Nebo, Ky., died Monday, Dec. 17, 2018 at her home. Carolyn was born Feb. 10, 1954, in Madisonville, Ky., the daughter of Thurman and Edith Williams. She attended Providence High School and graduated from West Hopkins High School in Rabbit Ridge, Ky., in 1972. Carolyn was a member of the First Baptist Church and then Pleasant Valley Baptist Church. Carolyn married Jonathan Tyler on Feb. 18, 1972 in Elizabethtown, Ill. They were married 46 years. After moving to Kansas due to job relocation, she worked at The Capper Foundation for 14 years. Carolyn enjoyed reading, knitting, crocheting, crafts, celebrating all holidays with family and friends, and spending time with veterans and their families. She spent her most enjoyably time with her precious grandchildren. She enjoyed making new memories with her many nieces, nephews, and cousins. Carolyn was preceded in death by her parents, Thurman and Edith Williams; stepdad, Carlos Jameson; brothers, James Williams, Johnny Williams, George Williams, Roger Williams and David Jameson; sisters, Nancy Getchell and Jane Jameson; sisters-in-law, Pat Williams, Dausie Williams and Charlotte Jameson; and a brother-in-law, John Wayne Whitfield. Survivors include her spouse, Jonathan Tyler Sr.; daughter, Christy Ketchem (husband Mark) of Meriden; a son Jonathan Tyler Jr. (wife Ashley), Hoyt; brothers, Carl Jameson (wife Maurice) and Jerry Jameson, both of Madisonville, Ky.; sisters, Diana Workman, Dawson Springs, Ky., and Shirley Utley (husband Bo), Providence, Ky.; sisters-in-law, Hilda Williams, Sullivan, Ky., Judy Williams, Sisseton, S.D., and Sonya Whitfield, Lexington, Ky.; and a brother-in-law Tim Getchell. Other survivors are eight grandchildren, Jaycie Jones, Lukas Ketchem, Emma Caroline Ketchem, Levi Ketchem, Ben Kneisler, Makenna Tyler, Alexandria Tyler and Adelynn Sue Tyler. Funeral services will be held at 11 a.m. Friday, Dec. 21 at Chapel Oaks Funeral Home in Hoyt. Burial will follow in Hoyt Cemetery. Carolyn will lie in state after 9 a.m. Thursday at the funeral home, where family and friends will meet from 6 p.m. to 8 p.m. The casket will remain closed.